Looking your best begins with fresh, flawless skin and drinking 8-10 glasses of water a day. This is the only way to look flawless, naturally. Use concealer and foundation minimally and blend, blend, blend. Remember, skin is always in so don’t over do it! It should be dewy and fresh. Don’t forget the neck, shoulders and décolletage. These are all extensions of your face and everything should blend seamlessly. As for the rest of your makeup, find the right balance between your eyes, lips and cheeks. A soft, smoky eye with flushed cheeks and a perfectly painted pout are what it’s all about. As the ever-changing world of digital photography continue to change the face of modern day makeup so should the products your makeup artist chooses to use. What worked 5-10 years ago, worked 5-10 years ago. Use those products that work best today! Brows are everything. They can make or break your face. Are yours measuring up? Find out more here. 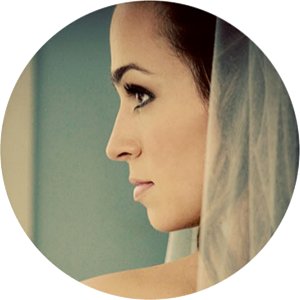 Before you say "I do" read my take on achieving your best bridal look here.